The Supersprox "Tri-Metal" or "Stealth" features a carbon steel tooth section which boasts longevity, and a coloured hard anodised centre to reduce overall weight. 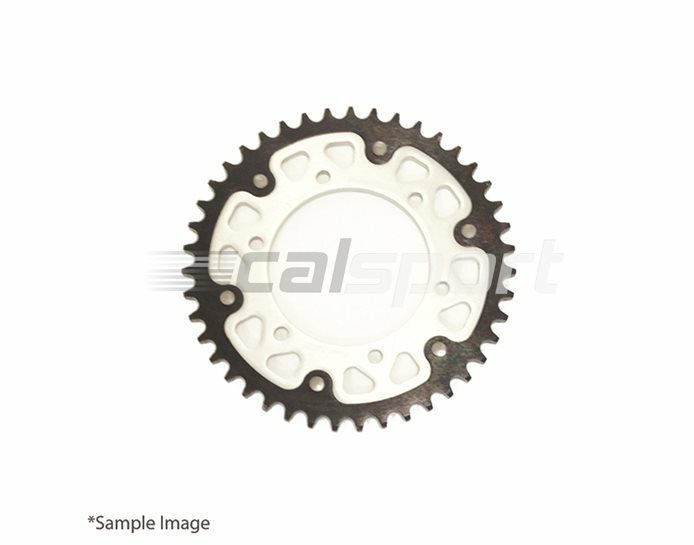 Save weight over a steel sprocket, but do not lose durability like an alloy sprocket. These are the longest lasting sprockets in the world, and Supersprox back this with a 2 year manufacturers warranty against defects. Their tests show over 20,000 road miles covered on a 1300cc Hayabusa with a well maintained chain… And they look great!